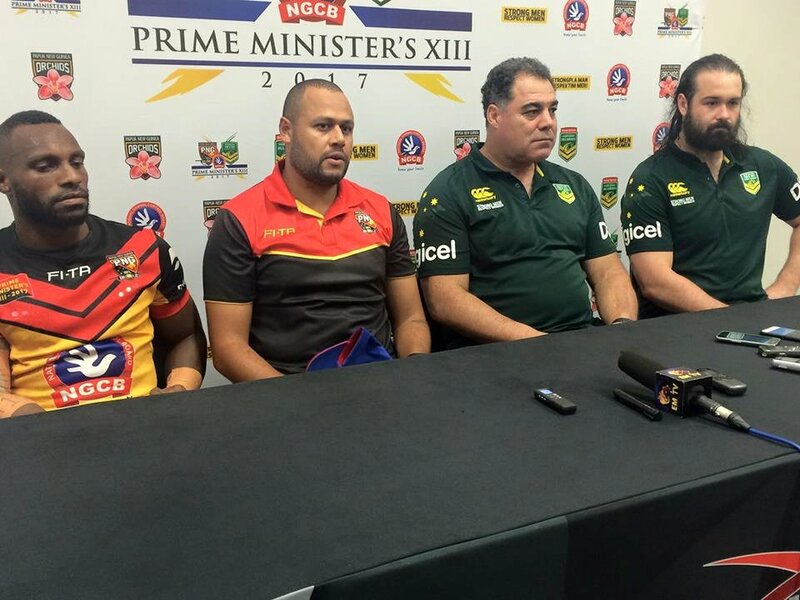 PNG’s Prime Ministers 13 Assistant Coach Steven Nightingale said their game on Saturday against the Australians PM’s 13 was a very tough one. He said most of the boys on his side were Digicel Cup players and they have given the Aussies a very good game. He added that they have completed their sets of play in the first 20 minutes but gave in to the Aussies on the last minute. Meanwhile Australian PM’s 13 Coach Mal Meninga admitted that he was really encouraged by the effort the PNG side put into the game on Saturday. He said PNG PM’s 13 got them by surprise in the first 20 minutes with their game, especially aggressive defense. He encouraged his team in the second half to fight hard after the strong performance by PNG side.